The US air force is a massive operation. As a result, there’s much to learn about it. Here are some facts about US military you probably didn’t know. 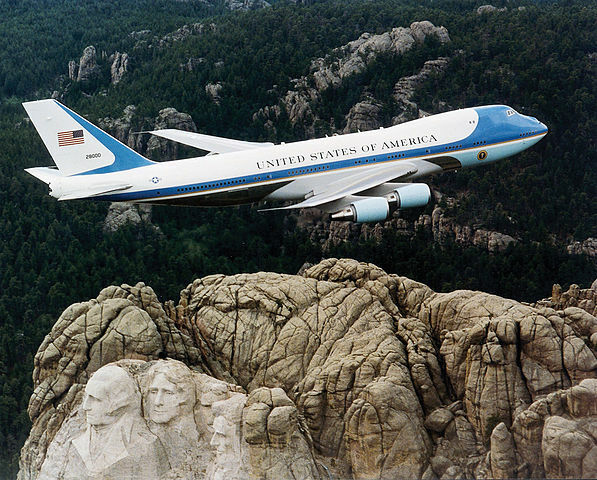 We like to think of Air Force One as being the plane that carries the President. But it’s worth pointing out that Air Force One isn’t a single plane: there’s two of them. They go by the rather unremarkable names of “28000” and “29000.” The term Air Force One is the name used by air traffic controllers whenever the president is aboard. Air Force One simply means that the president is aboard either of the planes. The presidential aircraft is considered to be a priority one assets. As a result, the security teams surrounding the aircraft are authorized to use deadly force if necessary. Air Force One is in the same category as nuclear missiles. Today’s current-grade military aircraft are designed to survive in the atmosphere. They’ve all had a Carc painting service to keep out the elements. But they’re not covered in a layer of ceramic panels for reentry into Earth’s atmosphere. In the future, however, the air force must be able to counteract threats from rival nation states in space. According to the Air Force Doctrine Documents, it’s official policy to deprive rival nations access to areas above Earth’s atmosphere. The American air force wants to be the only show in town and the only country to militarize space. Like air superiority, it wants both defensive and offensive assets. And it intends to use those assets to gain knowledge about the activities of other countries. The official mission of the US air force is to dominate in the air, space and, yes, cyberspace. Right now the US air force has plenty of missiles and aircraft. It even has a few spy satellites in space. But when it comes to cyber warfare, the department is severely lacking. That’s why the agency recently put out a call for Cyberspace Warfare Operations. In other words, it wants to buy cyber weapons from you. The motivation is to be able to disrupt or deny adversaries the ability to wage cyber warfare themselves. The US is currently very concerned that other nations will use cyber warfare against events like the Olympics. There are also rumors that the US and Israel want to use cyber weapons against Iran’s nuclear program. The National Security Act of 1947 was one of the biggest pieces of legislation in American history. For the first time, it delineated a unique, equal role for the US Air Force, separate from the Army. But on that day in 1947, the US Air Force wasn’t the only department of government to be born. The National Security Act of 1947 also created the National Security Council, Joint Chiefs of Staff, and the CIA. And one last piece of trivia: Harold Truman passed the legislation on a plane that would be used for Air Force One.